If you find that the house has accumulated a lot of things that you no longer wear or that have become too small for your child you can try to get them for a little money. To do this, just go to your nearest thrift store and sign a contract. Unwanted items in good condition, the passport. First you need to choose a Commission store, where to go to carry unnecessary things. Be sure to call back and find out when you can come for putting things. Some stores are acceptance of things made on certain days or hours. Before you pack things, decided to give for sale in the thrift shop, you need to put them in order. If the clothes or shoes - inspect for stains, loose seams, holes and lack of buttons. Try to eliminate all these defects. Shoes and clothing must be clean. Great importance is the seasonality. If it is summer, it is likely that a fur coat and boots will not take for sale, and ask him to come with them closer to winter. If you rent appliances or equipment, check the serviceability and don't forget the user manual, if it survived. Gently fold the clothes in the bags. If you rent large items, you need to resolve the issue with delivery and movers. Usually, in the Commission there is no delivery service. Be sure to take your passport, it will be necessary to contract (or agreement). Merchandise store will view things and appreciate them. You can join him in discussions and ask for more, but usually the store knows at what price that item can be sold. 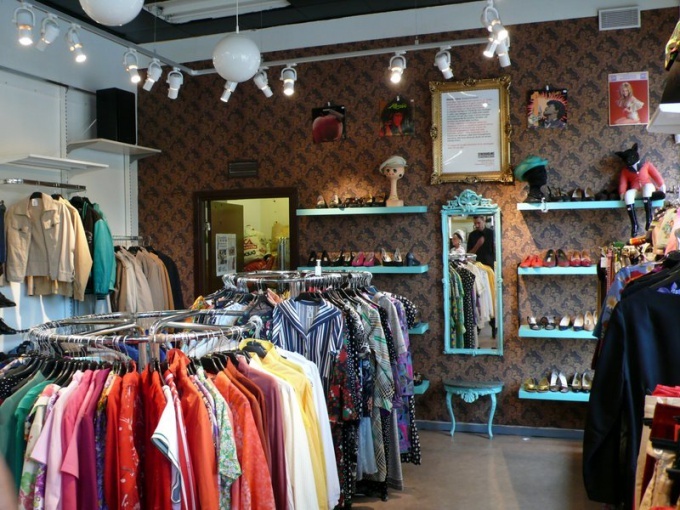 In most thrift stores after 20 days, is the first markdown of unsold stuff, the cost is reduced by 20%. Through the following 20 days - another 10%. If the item does not sell, discount to the minimum possible. After assessing your belongings is drawn up the agreement in two copies that you sign. The store will take for their services 30-40% of the cost of sold items. After the sale you'll get a call and you can own and occasionally call and interested in the fate of your belongings. The money for the goods that sold, must pay no later than three days from the date of sale. If your thing will ruin or lose the shop must pay the cost. Sometimes unscrupulous sellers can cheat - for example, do not immediately put a good thing, but to wait for markdowns and buy it for yourself for a ridiculous price. Therefore helps to go to the store and check how the contract is fulfilled.